Chelsea defender Michael Mancienne has signed a four-year deal with Hamburg for about £1.75m. The 23-year-old will join his new team-mates after competing for England at the European Under-21 Championship. Londoner Mancienne has had limited chances at Chelsea but he now joins Blues former technical director Frank Arnesen at the German club. "Hamburg are a big club with a lot of tradition and some fantastic fans," Mancienne said. "It's a big challenge for me to be able to play for this club. It would be great if I could play a part in helping Hamburg get back into Europe." Londoner Mancienne joined Chelsea as a schoolboy but made only six senior appearances before he was loaned out to Wolves. 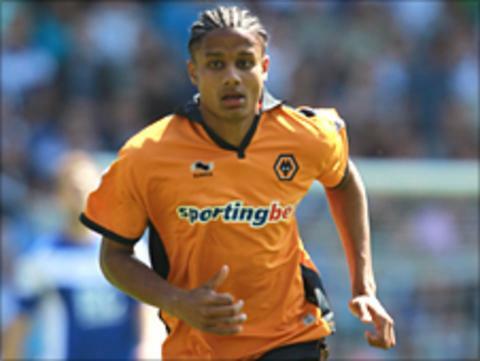 He spent three spells at Molineux, including the past two seasons, and also had two periods at QPR. But his lack of top-level experience has not put off Arnesen, who has wasted little time raiding his old club since joining Hamburg as their new sporting director. "I know Michael from Chelsea and have followed his development for years," said Arnesen. "I am aware of his great potential." The deal has been sanctioned with Chelsea still looking for a new manager since they sacked Carlo Ancelotti on 22 May - the final day of the Premier League season. Hamburg finished eighth last season in the Bundesliga.